Astro Malaysia Holdings Berhad Initial Public Offering (IPO) received an overwhelming response with its public portion of 103.9 million shares. It was oversubscribed by 6.08 times. The IPO attract 57,259 applications or 735.9 million shares. The Institutional Price was fixed at RM3.00 per Offer Share. Accordingly, the Final IPO Price for the Retail Offering is fixed at RM3.00 per Offer Share. The IPO allocate 103.9 million shares for public. Of these, 51.97 million shares were allocated for Bumiputera category while 51.97 million shares were allocated for Malaysian Public category. Below are the allotment summary for public portion. Notices of Allotment will be dispatched by post to all successful applicants on or before 18th October 2012. 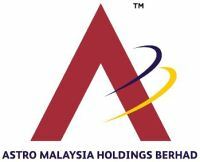 Astro Malaysia Holdings is expected to be listed on the Main Market of Bursa Malaysia on 19th October 2012 under stock name “ASTRO”. Details information are available in Bursa Malaysia webpage. Previous post: AS 1Malaysia Unitholders Get 6.6 sen Dividend for 2012 Next post: GrouponPayments: Is It a PayPal-Killer?